The primary role of our Teen Court Attorney is to assist our student jurors in understanding the charges against the defendant and provide guidance to jurors in recommending sentencing for guilty defendants. Ms. Pacheco joins Mr. Picon as our court attorneys. 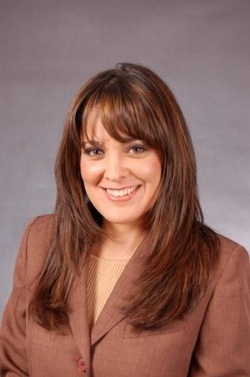 Ms. Blanca Pacheco is a practicing attorney, with a law firm in Downey, CA. She graduated from UCLA, with a Bachelor of Arts in Political Science, and a specialization in Chicano/a Studies in 1998. She then proceeded to Loyola Law School, and graduated in 2002. She passed the CA State Bar in 2003, and has been practicing law ever since. Her legal business consists of helping clients with their estate planning needs, evictions, and DUI defense. Ms. Pacheco is also an instructor at Downey Adult School. She teaches the Adult School's online paralegal program. WELCOME TO EL RANCHO COUNSELOR PACHECO! 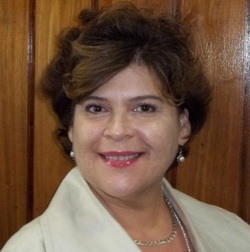 Dr. Rebecca Gonzalez-Marin is a Psychologist who has served the mental health community for over 15 years. Dr Marin is an El Rancho alum who received her Doctorate in Clinical Psychology from Ryokan College. She currently has a private practice in Westwood, California where she is affiliated with UCLA Dr. and Professor Daniel Kupper, whereby whom she development great knowledge and skill for treating Personality and Mood Disorders. Dr. Marin's educational background includes extensive evaluation of human development, cross-cultural issues, psychodynamic psychotherapy and psychoanalysis. Dr. Marin treats both adults and children in private practice as well as families in need of clinical psychotherapy. Her specialty is Attention Deficit Disorder in children and adults. Dr. Marin also holds a clinical position at Home-SAFE a division Vista Del Mar (VDM) Child and Family Services.